Check out our ready-made applications in the iTunes App Store. SUI Solutions develops useful and affordable applications for business and leisure with an emphasis on user interface and usability. SUI Solutions is pleased to offer custom iPhone development services. If there's something specific you're looking for but you can't find it in the App Store, contact us and we'll be happy to discuss a solution. We'll develop it from scratch-complete with professional graphics in iPhone style and without any unnecessary features. Contact SUI Solutions for details on creating an iPhone-optimized web application that can be hosted on your existing server. The web applications we create support most common iPhone features but run through Safari, iPhone's default web browser, and have graphics and navigation controls similar to native iPhone applications. Meet the iMargin for Android! 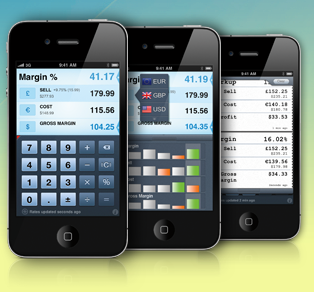 The best seller margin calculator is available for Android based devices now! 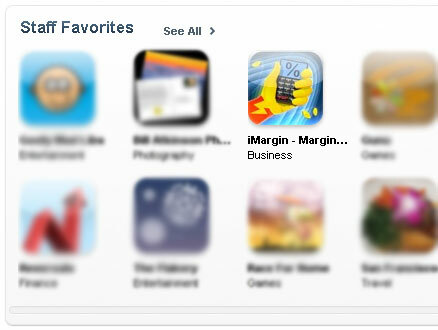 iMargin for android has a complete feature set as its iPhone analog. It is also compatible with Android v 1.6 and higher and supports a variety of devices with different screen resolutions. New cool app, Make a Face, approved in the App Store! Make a Face is just the application for testing a makeover on siblings, giving a piercing to a boss and so much more. Users can shoot a photo directly within the application or upload an existing one from the iPhone album. From there, the graphic add-ons are easily modified for the perfect fit with any photo. When the masterpiece has been completed, users can e-mail the photo or export to Facebook or Twitpic directly within the application. Check out our new app, iMarkup! Calculate sell price and quickly adjust your profit using our new sales app, iMarkup!